On January 29, 2014 we gathered to celebrate our growth and our Outstanding Contributors! By now, most enterprises are clear that Cloud Computing is a disruptive trend that must be considered. How are biotech, pharmaceutical, and device companies addressing this challenging opportunity? 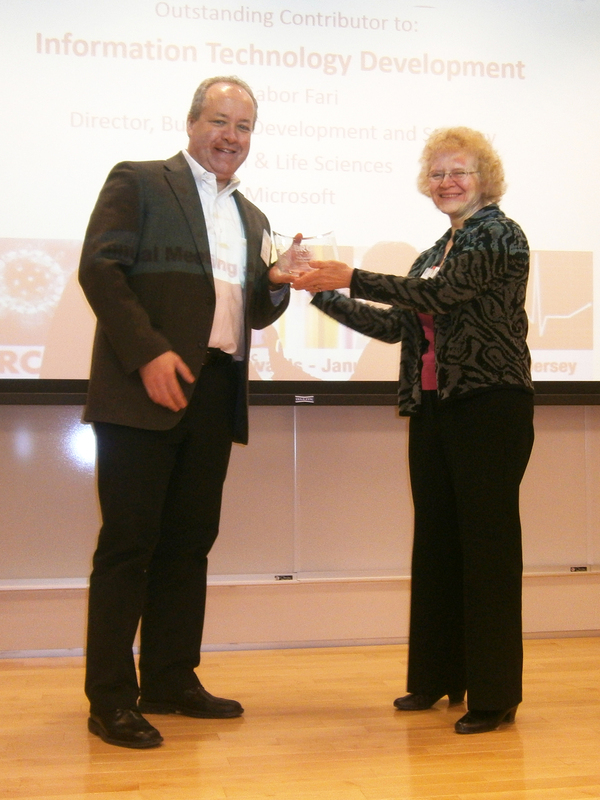 Gabor plays a key role in defining and executing Microsoft's Life Sciences solutions. His main areas of focus are Enterprise Content Management, Regulated Document Management, Clinical Trials, Cloud Compliance and Sales Enablement. He is the driving force behind the Intelligent Content Framework, with the mission to introduce an entirely new way of managing Enterprise Content in Regulated Industries, based on the latest XML technologies and standards. 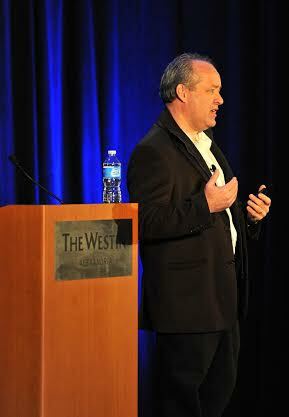 He also serves as product and technology advisor to several key Microsoft Life Sciences partners. Gabor is the Microsoft representative on several DIA SIAC groups and the OASIS DITA Pharmaceutical Content Subcommittee. Gabor holds a Master's Degree in Chemical Engineering, specializing in Bioprocess Engineering, from the Budapest Institute of Technology, and an MBA from Rutgers University. At our first ever Annual Meeting and Awards ceremony, members of our Scientific Advisor Board and Committees were graciously hosted by the Center for Dermal Research, Rutgers University. Gabor Fari of Microsoft accepted the award for Outstanding Contributor to: Information Technology Development on behalf of the company. His presentation "Collaboration in the Cloud" stimulated discussion on the growing impact of cloud computing, and the opportunities it presents to Life Sciences organizations. Dr. Dolly Koltchev receiving award. "The award recipients have demonstrated an enthusiasm and dedication to the mission of the BRC, enhancing our ability to drive collaboration and develop new content for future events," said Program Director Dolly Koltchev. 2013 Outstanding Contributor Awards were accepted by George Karam on behalf of Pfizer, Jack Heslin on behalf of MAKERBOT, Gabor Fari on behalf of Microsoft, and Teri Conte on behalf of FUJIFILM. Terry Stouch from Science for Solutions and Dr. Sam Kogsamut from Rudder Serendip LLC also accepted awards for their support and guidance on our Scientific Advisory Board. In addition to its Outstanding Contributors, the BRC honored founding members Dr. Dolly Koltchev, Rich Brandwein and Ronnye Schreiber. Each received a Founders Award to acknowledge their vision and commitment to the BioPharma community. "I am honored to be a part of the BRC", says Executive Director Joanne Gere. "Our Founders have established a unique platform for bringing researchers together, and our growing community is responding enthusiastically."